Written by a collection of insightful scholars, this commentary will insightfully open up God's word with consideration and wisdom. The Compact Bible Commentary is an abridgement of Nelson's New Illustrated Bible Commentary that brings together over forty acclaimed evangelical Bible scholars to take you through each book of the Bible, verse by verse. Includes maps, photos, illustrations, word studies, cross-references, clear explanations of the meanings of Scripture, concise outlines on every book of the Bible and thought-provoking insights that assist in applying the Bible to daily living. Ronald B. Allen, Th.D., is senior professor of Bible Exposition at Dallas Theological Seminary. H. Wayne House, J.D., Th.D., is a distinguished professor of biblical studies and apologetics at Faith Seminary, Tacoma, Washington. 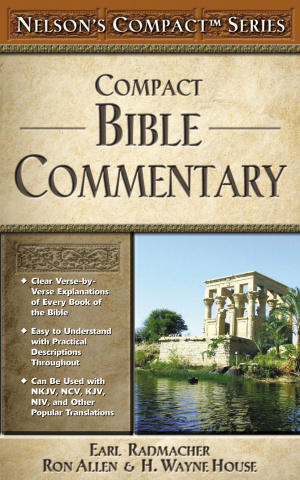 Compact Bible Commentary by Earl D. Radmacher was published by Thomas Nelson in September 2004 and is our 16546th best seller. The ISBN for Compact Bible Commentary is 9780785252481. 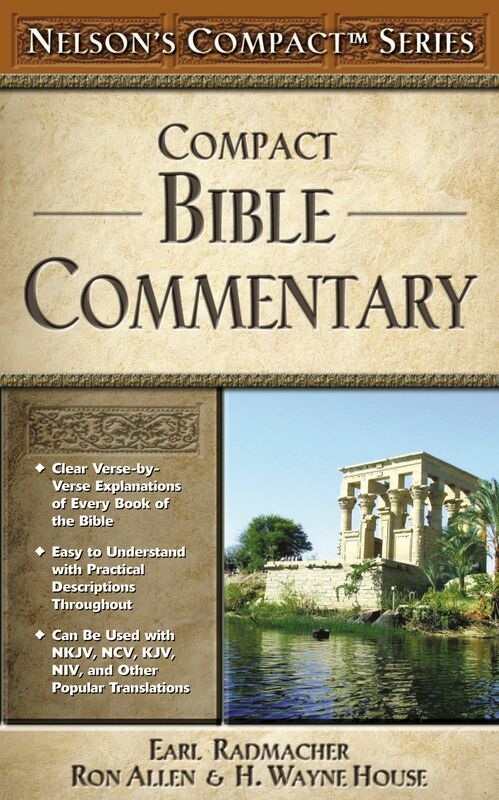 Be the first to review Compact Bible Commentary! Got a question? No problem! Just click here to ask us about Compact Bible Commentary.